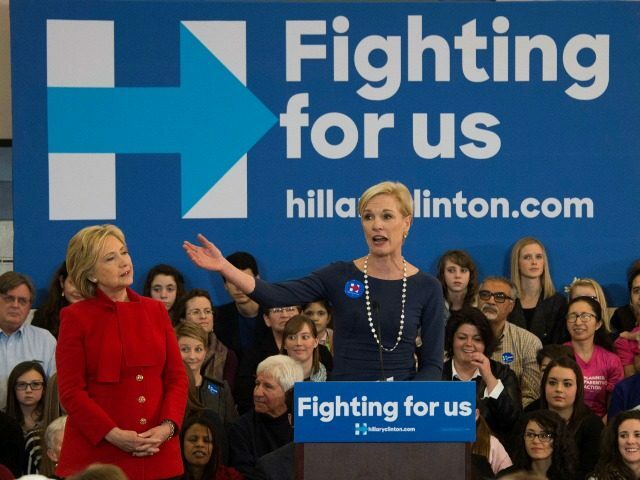 Hillary Clinton is making Planned Parenthood one of her first stops as the presumptive Democrat presidential nominee. Clinton is scheduled to address the Planned Parenthood Action Fund (PPAF) Friday in Washington, D.C.
As female leaders of the pro-life movement who represent millions of women of all ages, we cannot celebrate this first nomination of a woman for the office of the U.S. president by a major political party because of Hillary Clinton’s radical pro-abortion record and alliance with the abortion lobby. The unholy alliance between Clinton and Planned Parenthood, the nation’s largest abortion chain, is disgraceful. Planned Parenthood receives over $500 million in taxpayer money annually, then funnels tens of millions of dollars to candidates like Clinton to further its agenda and increase its bottom line. They both profit from the abortion industry in a self-serving cycle. Instead of empowering women, Clinton and Planned Parenthood lie to women, betray women, and sell out women and children, all in the name of profit. Hillary Clinton and Planned Parenthood do not represent us. Clinton has put abortion at the center of her campaign and has said the ‘unborn person has no constitutional rights.’ With Planned Parenthood’s backing she intends to keep it that way if elected president. For months Susan B. Anthony List has been working to expose Clinton’s abortion extremism. In key battleground states, more than 400 activists in our grassroots army have already knocked on over 380,000 doors. What Clinton does not realize is that on the issue of life, the majority of Americans – including majorities of young people and women – stand with us, not her. Americans oppose taxpayer funding of abortion and support a compassionate limit on abortion after five months. She has staked out her turf far outside the mainstream. We welcome this opportunity to engage and expose her, confident the American people will reject her abortion ideology at the ballot box. The Christian Defense Coalition and pro-life organization Operation Rescue have arranged a “peaceful, First Amendment outreach” during Clinton’s address to Planned Parenthood. We cannot be silent when it comes to standing for human rights and social justice for all,” said Rev. Patrick J. Mahoney, director of the Christian Defense Coalition. “God forbid that Hillary Clinton should become president and serve as Planned Parenthood’s puppet in the White House!” Newman added.